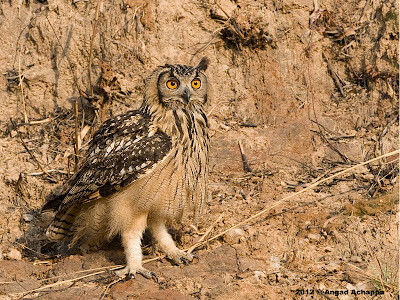 During one of our trips to Kabini, we decided to take a small diversion to look for the Indian Eagle-Owl (formerly known as the Rock Eagle-Owl). 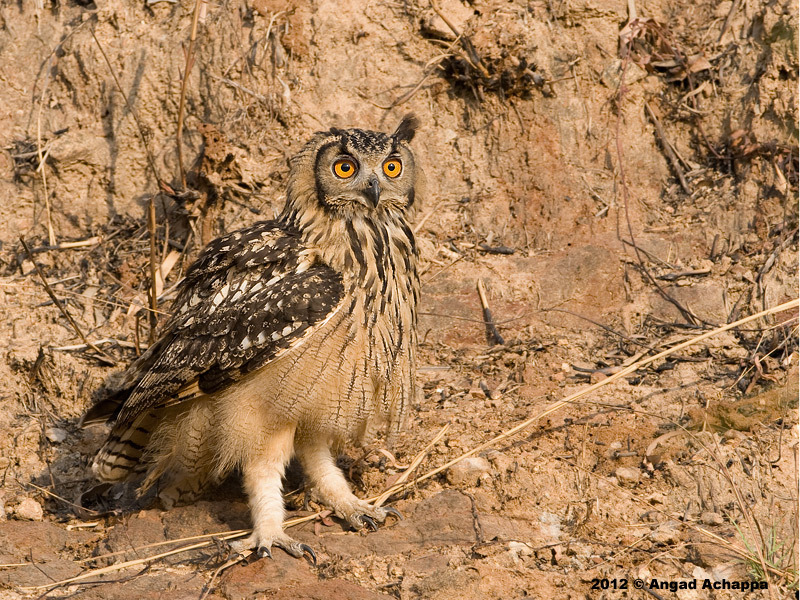 The Indian Eagle-Owl, Bubo bengalensis, is considered a sub-species of the Eurasian Eagle-Owl Bubo bubo. They are found in hilly and rocky scrub forests and often among abandoned stone quarries. Their diet mainly consists of rodents and other small mammals. During winters they tend to prey on other smaller birds. They breed during the months of November to April, often using the same nest year after year. They lay 3-4 eggs, which hatch after about 30 days. The chicks are dependent on their parent for close to six months. The main threat to this species is due to various superstitions among villagers, which often lead to them being captured and killed. 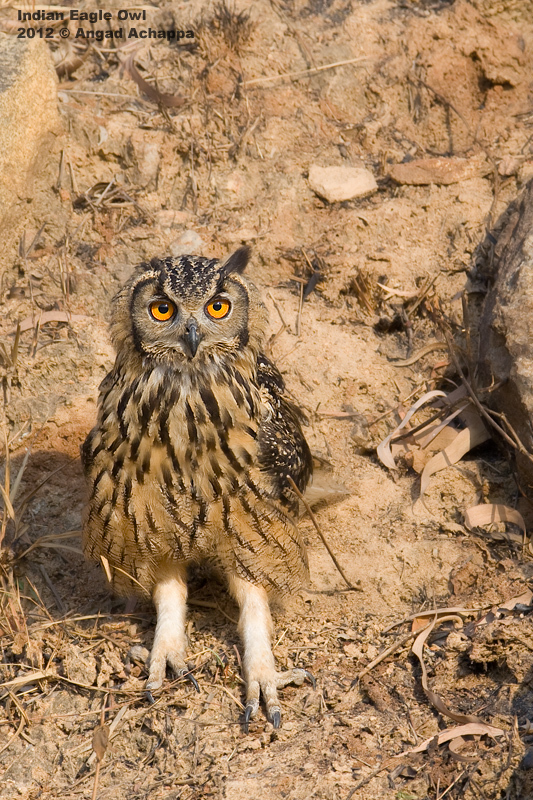 Interesting, never knew an eagle-owl existed. Well captured! Amazing captures!! I think I am seeing its pictures the first time! Thanks for the post. Great pictures and story of the Eagle Owl ! Shame about how superstitions lead to killings of these beautiful birds. Are they 'legally' protected? Stunning photos - especially #1. The Eagle-owls here in Malaysia are not even half as confiding. What splendid pictures! All of them are FANTASTIC! But you could tell us more about how you captured it. I mean the experience of photographing in different locations and situations. It'd make for an interesting read and people who like photography can learn something. These two shots are sumptuous. I've a small preferences for the second one thought, as it appears that you are (or were) at a better eye-level for this shot, which gives it more depth! very cool pic. His eyes are amazing. stunning birds - their eyes mesmerise me - I painted a Eurasian eagle owl a few weeks ago, really wanted to capture that stare they have!